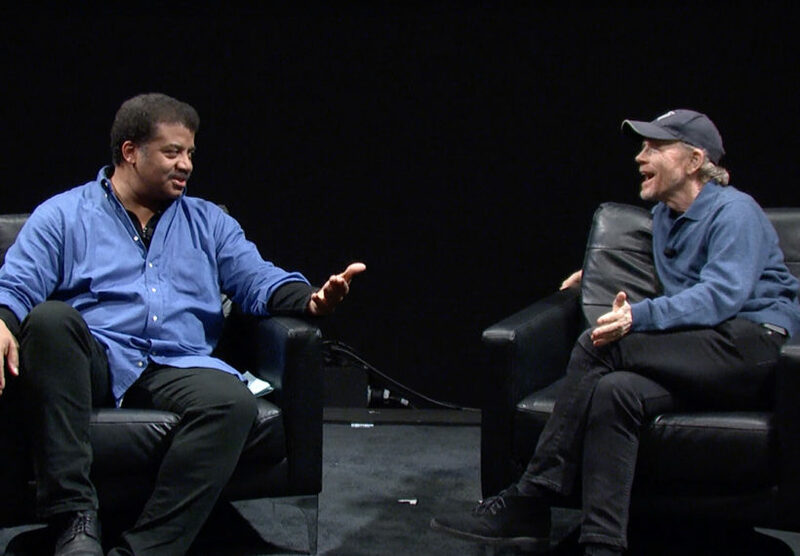 Content tagged with "Janna Levin"
Neil deGrasse Tyson, filmmaker Ron Howard, astrophysicist Janna Levin, and comic co-host Harrison Greenbaum celebrate and explore the life of Albert Einstein, including his path to scientific enlightenment and the impact of his genius on the world. Neil deGrasse Tyson, co-host Harrison Greenbaum, and astrophysicist Janna Levin, PhD, answer questions on the far away and the far out, including Andromeda’s impending collision with the Milky Way, white holes, a holographic universe, and more. Prepare to get trippy! Join Neil deGrasse Tyson, comic co-host Chuck Nice, and astrophysicist Janna Levin as they celebrate the life and achievements of Albert Einstein and his impact on the scientific world around us, including the detection of gravitational waves at LIGO. Astrophysicist Janna Levin and comic co-host Matt Kirshen answer fan-submitted Cosmic Queries about interstellar travel, from special relativity, to time dilation, to visiting exoplanets. Gravitational waves, TRAPPIST-1, nuclear energy, Enceladus, and more. Explore great discoveries, old and new, on this mashup featuring StarTalk All-Stars hosts, co-hosts, and guests including Bill Nye, Carolyn Porco, Janna Levin, Emily Rice, and others. Moments after the Great American Eclipse of 2017, astrophysicist Janna Levin, comic co-host Matt Kirshen, and Columbia professor of astronomy Joe Patterson talk about eclipses, relativity, black widow pulsars, and more.